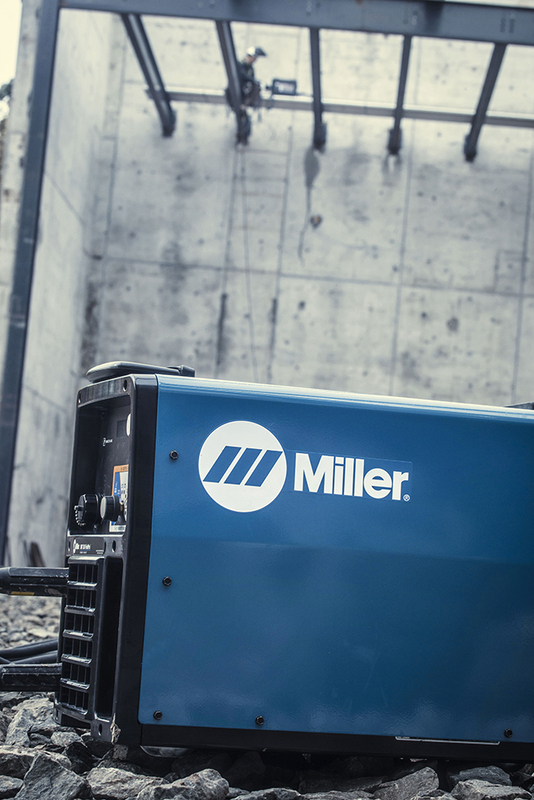 Save time with ArcReach Technology - Keen Compressed Gas Co.
Miller offers ArcReach Technology to help you improve productivity, profitability and safety. With ArcReach, operators can make adjustments at the weld joint using the wire feeder or the remote without the need for a control cord, so they don’t have to walk to the power source to make changes. Eliminating these trips improves jobsite productivity and efficiency, and operator safety. ArcReach Technology is available to work with many welding systems including the XMT 350 Field Pro, Trailblazer 325, Big Blue 400 and many others. Contact your Account Manager or Local Branch for more info.